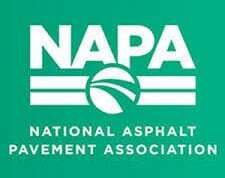 Is asphalt a green commercial paving option? You might not think so but it is! Every year, the asphalt industry reclaims nearly 65,000,000 tons of the very product it uses. Additionally, our industry reused or recycled 99% of our materials. Here’s how B & S Contracting supports the environment with every project we do. For green commercial paving, we use RAP, or Reclaimed Asphalt Paving, in highway construction paving projects. RAP is removed and/or reprocessed pavement materials that contain high quality, well-graded aggregate coated by asphalt cement. RAP is generated from resurfacing and reconstruction projects, or from projects that need asphalt removal to obtain access to buried utilities. RAP doesn’t lose any quality because it’s been recycled. Renewable, durable, and sturdy. Cheaper material to purchase and produce, reducing construction costs. Up to $2.5 billion annual taxpayer savings. Eliminates increased fuel consumption required to procure and process raw materials for virgin asphalt mix. Stone, gravel, and sand, aggregates of asphalt, are a limited resource. RAP helps to preserve them. Materials from other industries, such as glass and asphalt roofing shingles, find a home in new asphalt. Porous asphalt pavement is an excellent choice for properties with stormwater drainage challenges! That’s because it can eliminate the need for a retention pond. Environmentally friendly and a money saver, porous pavement is a viable green commercial paving solution with considerable long-term cost efficiency. That’s why you need a qualified and experienced paving contractor to properly install it! As a Virginia Asphalt Association and VDOT award winner, B & S Contracting gets the job done right the first time. Thanks to advances in technology, Warm Mix Asphalt, or WMA, is produced at lower temperatures, saving energy and reducing the production of greenhouse gases. Used in about 30% all paving projects such as roads, interstates, highways, driveways, cart paths, and walking paths, it can be laid either day or night. With a manufacturing temperature of between 200-250 Fahrenheit, WMA can be used in cooler months, beyond the normal paving and construction months. Includes additives and binders for easier low temperature pouring, spreading. Better for workers and the environment! These are just some of the ways that B & S Contracting supports our environment. To learn more about us and to get a quote, call us today! 540-886-8886.